Hello all! 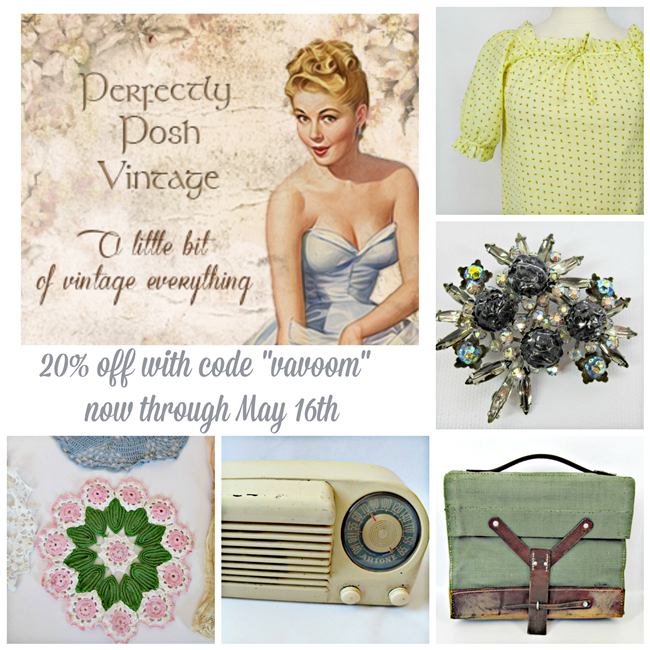 I've been having a wonderful afternoon working on a new design for Va-Voom Vintage! I'm so excited to give the blog a makeover again. I love to play with fonts and colors but this time, I'm really focused on re-organizing my content so its easier to find things for all of you! 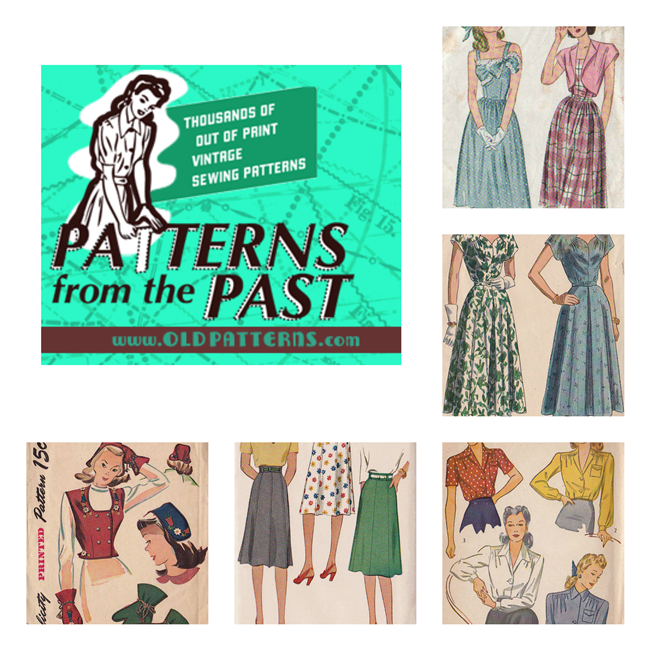 Patterns from the Past is an amazing resource for vintage seamstresses. Here, you can find sewing patterns from the 1920s to modern out-of-print patterns. Women's dress patterns are categorized by era, making it easy to find the perfect frock. Love That Lingers is a hand-picked vintage boutique, curating retro treasures for the modern girl. Owner, Dawn is getting ready for summer with her new collections of vintage swimwear and sunny separates. Be sure to like on Facebook for coupons and flash sales! 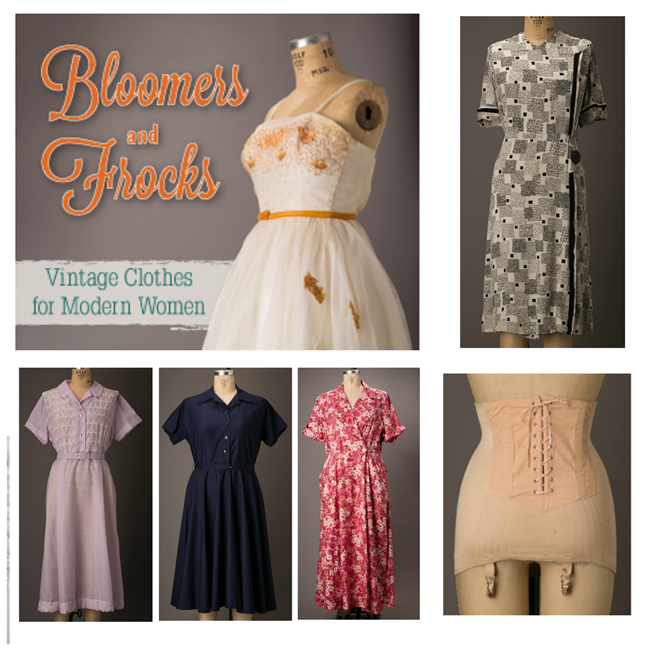 Bloomers and Frocks is a beautiful online vintage clothing boutique from fellow blogger, Rebekka Adams. Rebekka has curated a whole section of plus sized vintage clothing, my favorites featured in the gallery above. Also, don't miss the exquisite lingerie section for slips, girdles, corsets, bras and lounge wear. 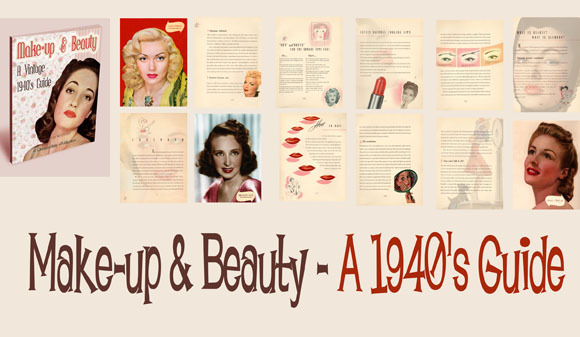 Vintage Makeup Guides is a must-have resource for an authentic look. Learn to style hair and apply makeup with original instructions from the 1920s-1950s. I especially love the 1940s makeup guide, which covers makeup for your skin type, do's and don't s for your face shape, corrective makeup and hair styles for your face shape. Download all 4 guides for $20! How fabulously exciting!!! Revamping my blog in January of this year was one of the best things I've ever done for it (not to mention a great happiness boaster for me, as I was no longer stressing over not being overly pleased with my site's appearance). I can hardly wait to see the beautiful new look you'll be unveiling soon!